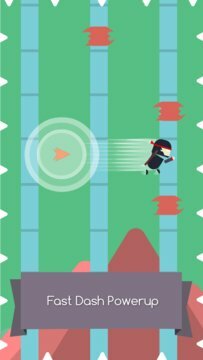 Tap and Jump your Ninja and save him from spikes all around in Action Ninja, a one tap wonder, casual and very simple yet addicting game. Jump and hop from pole to pole and avoid getting caught in spikes. 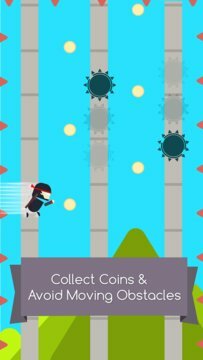 Collect coins, powerups and unlock amazing ninja. Controls couldn't be simpler. Just tap to jump, tap to collect powerups, tap to…do pretty much everything! With these super simple controls this platforming game becomes all about timing and foresight! Beautiful color schemes to give you a fresh feeling every time you play. Collect Coins to unlock awesome characters, funny characters, famous characters! !